A number of premium vape mods have made their way to the market these days. These include ultra-high-powered mods, mods with exclusive finishes like real wood and carbon fiber, large mods, and more. They are also loaded up with tons of advancements in technology and performance. 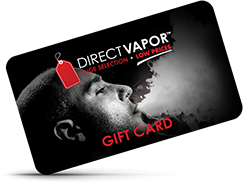 Bluetooth compatibility, advanced chip sets and membership to an elite club of vapers all come standard with many of these high-end vapor devices. While box mods have become pretty ubiquitous in the vaping industry, a whole new class of high-end vape mods has been introduced to serve as a status symbol and end game for many vapers. These devices are packed with more features and come wrapped in exotic finishes that stand out from a mile away. Let's take a look at some of the most exciting vape mods around today. You can find luxury high-end vapes in nearly every category of vaporizers. This includes starter kits, TC mods and standard box mods. There are even luxury vape pen devices available from some vape manufacturers. In most cases, the high-end classification comes from the materials and extra tech, not just the basic vapor functions that all mods have to offer. Ultimately this just means that you can find a vape mod to impress your friends no matter what style of vaping you prefer. There are even high-end mechanical mods available for those who wish to experience the purity of mechanical vaping without giving up the fancy exterior of their boxes. What's a vaper to do when everyone around them has the same rectangular silver boxes and average LED screens? With one of these high-end boxes, you can enjoy a touch of envy from your friends as well as a number of added bonus features. For instance, the SMOK ProColor allows you to change the color scheme of your device at any time to reflect your mood, and the SMOK G-PRIV offers a full-scale touchscreen experience, unlike any other vaping device. Some of these devices allow you to upload your own images to serve as a background or create a personal logo – or even to play mini-games on the screen while you take a break from everyday life. Other high-end features include reverse charging capabilities, which allow you to charge your phone off of your vape, and desktop computer software, which allows you to adjust your vaping experience graphically. Bluetooth-enabled updates are also available. You will find that many of these devices stand out for their unique finished look. This includes natural wood inserts, carbon fiber and even custom artwork. You can be sure that these devices look nothing like the run-of-the-mill box mods that everyone else is carrying. When it comes to choosing high-end vape mods, you need to decide whether you're going for a certain look or a particular technical feature. If you're all about the stylish finish, you can find a wide range of wattages from mini mods and 40-50W boxes to more advanced 250W-plus devices. You can focus only on those devices that come in the particular color or finish you like. On the other hand, if you're shopping for one specific feature you may narrow down your choices pretty quickly. After all, only a handful of devices have full-size touchscreens currently. Having a high-end device doesn't necessarily mean buying the most expensive box on the shelf. There are tons of affordable high-end devices in the mini-mod and mid-range markets. These tend to be more practical for everyday vapers to carry without feeling overwhelmed by the size or power. The biggest thing you need to be aware of with your high-end vapes is how much abuse they have to sustain during your daily travels. The best policy is always to buy a sturdy carrying case to hold your device when it's not in use. You definitely don't want to spend the money on that fancy touchscreen or natural wood finish only to have it ruined by dropping your device. You should also make sure that you are using the best-quality coils, wicks and other components on your high-end vaping mods. This is the only way to truly experience the difference in performance that comes with a luxury device. DIRECTVAPOR has high-end vape mods for sale year-round. With our Low Price Guarantee, you can save money on the most exotic wood finished box mods and custom artwork devices. You will enjoy full-color touchscreen functionality and so much more, along with our No Clone Zone promise. The best part is that all of our devices are covered by our return and warranty programs so your luxury device is covered just in case. We have the largest selection of high-end devices on the web with more variety and better reviews so you can see what other people are saying about these devices, and why they're better than the average box mod.